If your mind immediately conjures up an image of a dog being nearly tasered when going near the boundaries of his wireless fence, we can reassure you that this is absolutely wrong. We are enjoying so many benefits of living in an age of such remarkable technology, so why not share this innovation with our canine companions? 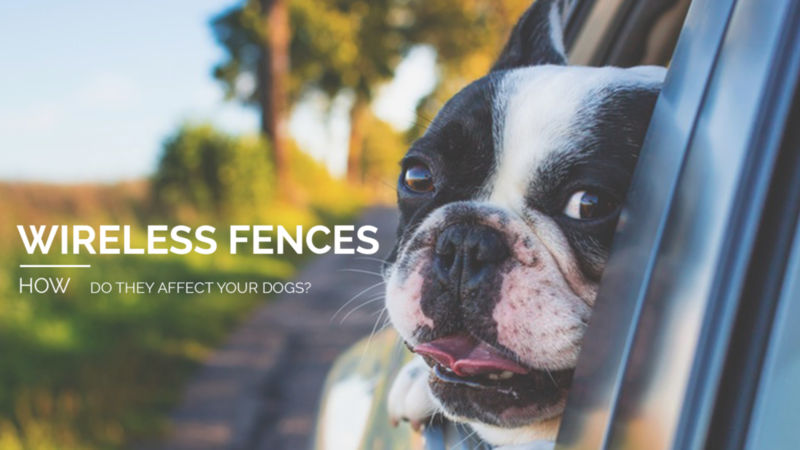 Let’s examine one of the most amazing inventions for owners since the leash: the wireless fence! Given the chance to roam as far and as wide on your property as possible is like giving him a golden ticket to happiness. Dogs with jobs are happier-all puppy trainers know this. Being able to let your canine outside, unattended and off-leash is a gesture that speaks volumes to your pet. It communicates to him that you trust him to do his job, and he will reciprocate with a deeper trust and respect for you. This will manifest itself in better, more appropriate behavior for you and for other people you bring into your home. Today’s wireless fences are not unlike the first models that were sold back in 1973, the year Richard Peck patented the first one. They have three elements: a transmitter, a collar/receiver, and a wire. However, due to advances in technology and materials engineering, the level of customization you can employ in your system is truly amazing. The correction level can be tweaked to your own dog’s temperament, and there are no set guidelines based on breed, age, or gender. 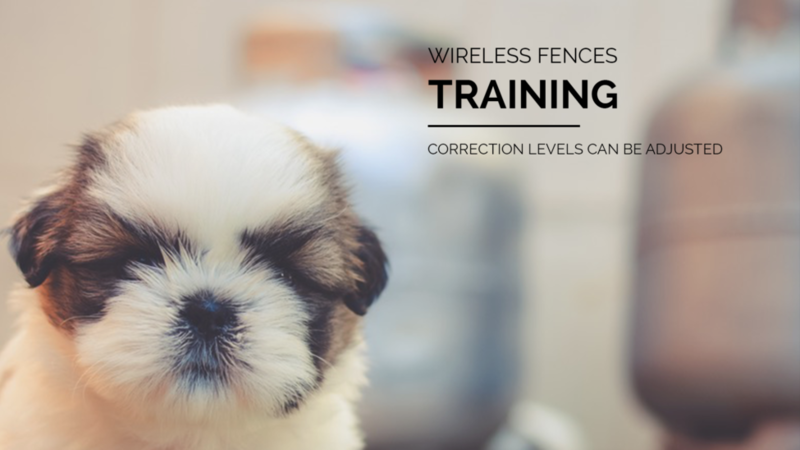 All great wireless fence companies will train your pooch to use the new device. This training is crucial to the success of the system. 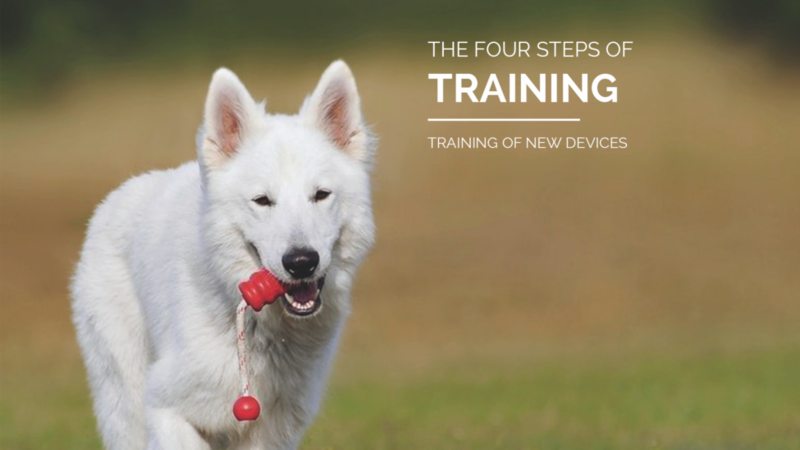 This first step will familiarize your pup with the boundary flags and the special warning tone that sounds when they approach them. In this step, there is no “correction,” only praise when he steps back from the boundary. The correction mode can be introduced once your puppy learns to keep some distance from the new perimeter. Prior to this training, set aside ample time to play. Add treats to help maintain his energy for the training session, and set a positive tone. In this step, the consequence of a static correction is introduced. You already taught him to back away at the sound of the warning tone. Now, using the lowest setting, a small correction will happen if he broaches the boundary line. His response should be to look around for the source and then move away quickly. Remember to reward and praise your canine when he behaves as he should around the boundary flags, by backing away from them. Reinforce this good behavior frequently. 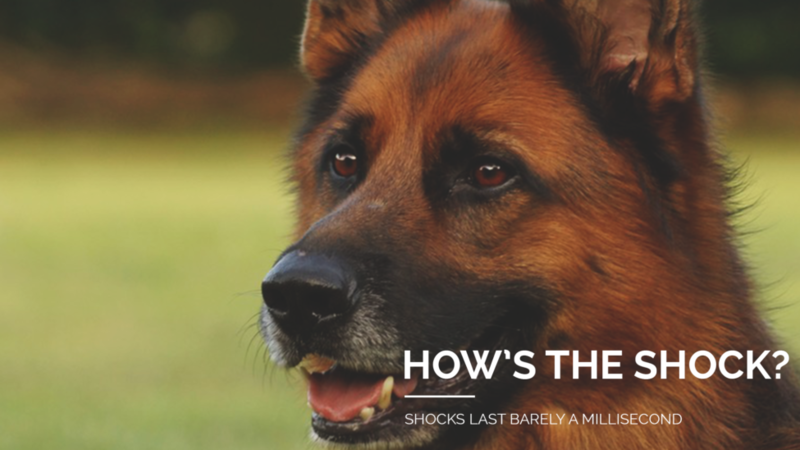 What tempts your dog the most? A toy, another dog, the mailman? Do some training when you are able to have a distraction on the other side of the boundary. Throw his favorite toy over the line, or have a friend walk their canine near the perimeter. Praise and treat if he doesn’t cross the line. If he does give into temptation and gets too close, simply say “no!’ like you did in Step One, and pull him away quickly. Now he is ready for some off-leash fun. Your aim is to slowly increase his off-leash time in the yard, eventually letting him roam unsupervised. First, bring him to the yard and remove his leash. Play with him for a while, then leave him alone for a bit (while you remain in the yard.) Praise and treat him if he keeps himself in the boundary zone for those few minutes. You want to have these short sessions fairly regularly at first, and slowly increase his time off the leash. Should your fur baby still break his boundaries and test the limits, return to Step Two and work your way back up to Step Four.